. The conference aims at providing the youth of the country with a platform to exchange ideas and opinions on political issues that are integral to the development of the nation as a whole at the moment. The confluence intends to bring together 450+ students of diverse educational backgrounds from all over the country to put forward their views to bring about a change in the current scenario of chaos and pandemonium in the political image of India. The confluence thus means to create leaders in divergent fields of CHANGE. 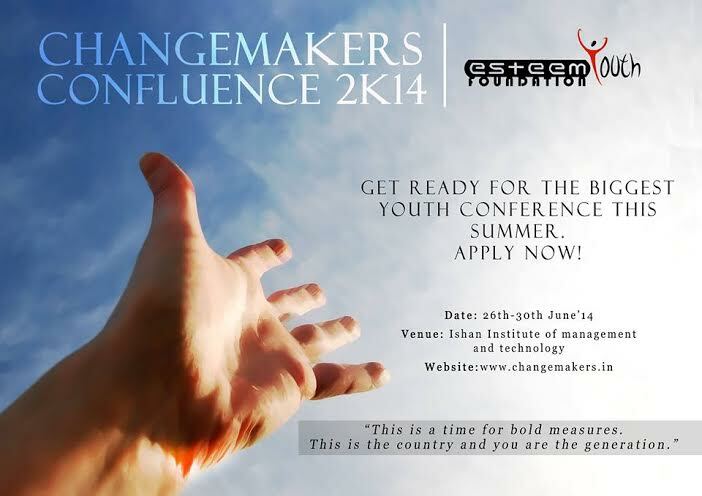 The Changemaker’s Confluence also aims at producing leaders in all fields of politics that need CHANGE. Therefore, these solutions are going to be materialised by the participating leaders in their part of the country thereby spreading the message of change throughout the country. THE POLICY DESIGNED BY THE ENTIRE 400 DELEGATES TO BE SUBMITTED TO THE PLANNING COMMISSION OF INDIA WITH SIGNATORIES OF ALL THE DELEGATES AND ORGANIZING COMMITTEE.